This is our complete guide to stealth in Sekiro: Shadows Die Twice, so you can stay hidden and get the drop on enemies. Stealth actually plays a pretty huge role in Shadows Die Twice, which is a nice change from past FromSoftware games. In our Sekiro stealth guide, we'll be explaining how you can easily use the stealth system that the game employs, to sneak up on enemies and deliver brutal execution attacks. When you think of Dark Souls and Bloodborne, stealth isn't exactly the first thing that comes to mind. Just below, we'll be providing you with a few brief tips and tricks for stealth in Sekiro. Press the left analog stick on your controller to crouch. When crouched, you'll be immediately hidden in tall grass. Light can affect stealth in Sekiro, so make sure to keep to the shadows when you're crouched. Sneak up behind an enemy, and you can perform a Deathblow attack when you see the red dot. 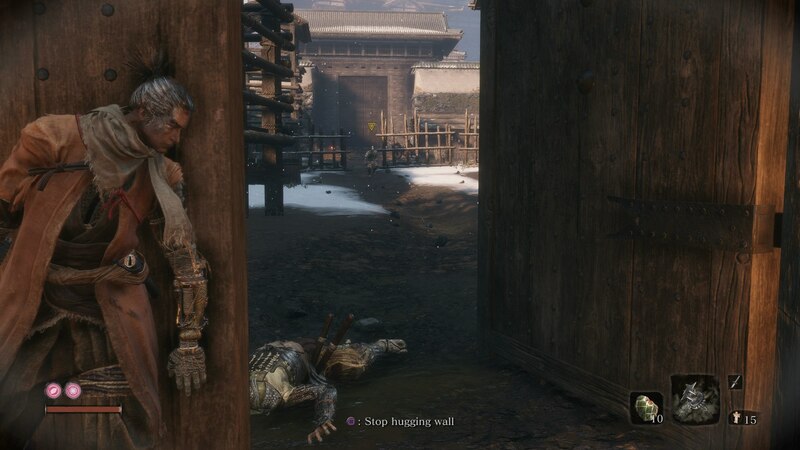 There are two methods of hiding yourself in Sekiro: you can either hide in tall grass, or press O/B when next to a wall to have Master Shinobi hug the wall. The first of these gives you the perfect cover against enemy patrols, while the latter lets you ambush enemies, dragging them round the corner to finish them off. Alternatively, you can always just stay out of sight of enemies to remain hidden. In Sekiro, you'll be able to execute a one-hit kill move whenever you're not currently in open combat with an enemy. Firstly, from your hidden position somewhere around an enemy, you need to lock onto a particular enemy by pressing the right analog stick, and you then need to get within range of them. This means either approaching them from above, so you're directly looking down on your opponent, or creeping up behind them without being spotted. When you see a red/orange dot appear on your opponent, you can press the right bumper for a quick, stealthy kill. Keep in mind that this won't automatically kill every enemy within Sekiro, so you're going to have to judge whether you can successfully kill your opponent with one stealth attack. A good rule of thumb is that if your opponent is the same size as you, they can probably be taken out in a single hit. There's also a detection system at work in Sekiro. When you're sneaking around the shadows, you might see a yellow arrow appear on-screen. This means that an enemy thinks they've seen you and will investigate the position in which they last saw you. The yellow arrow can begin to fill up with red if they can still see you after a few seconds. If the yellow arrow completely fills up with red, the enemy will have spotted you, and you will have entered open combat. But don't forget your grappling hook! 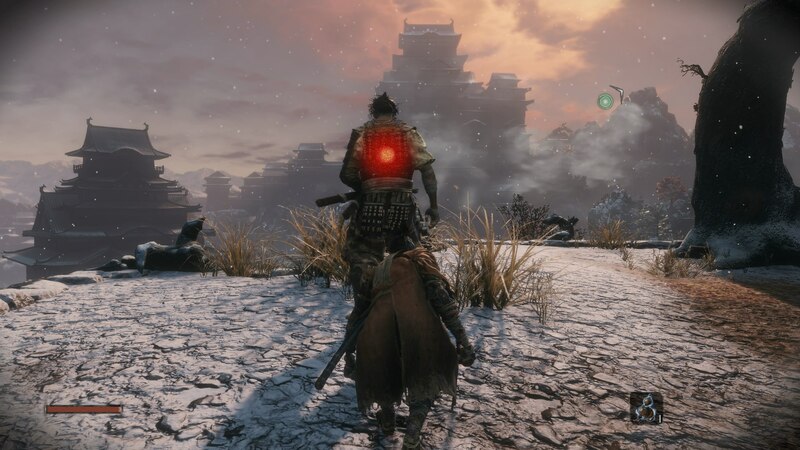 Our titular Sekiro is armed with a grappling hook at all times in Shadows Die Twice, meaning you can easily escape any pursuing enemies, for another attempt at a stealthy approach. If you want to get out of combat quickly, simply look to the nearest ledge above you, and if a grey dot appears on the ledge, press the left trigger to quickly lash out with your grappling hook, pulling yourself up to the ledge. This can be excellent for escaping pursuing enemies in Sekiro. It's really easy to forget about your grappling hook in the middle of combat, but it's an essential tool for escaping. After all, if you're running low on health or uses of your Healing Gourd, you might want to escape from enemies, hide in the shadows until they leave you alone, and then strike back out at them.